PD drama of the year. This past weekend my Shoutbox has been filled with nasty comments about my writing, my dad’s money, my undeserving career and ermm..my shopping habits. My poor handbags; all innocent and dunno anything, yet have been hated by some of you. Now let me tell you something… I get it. I appreciate the negative comments just like I appreciate the really sweet ones. Because I’m an adult. I know that in life, no matter how nice you are, how whatever you are, you are definitely going to get some who like you and many more who hate you. That’s just life. My intention of writing isn’t to hurt you guys. Whatever you guys comment, I do read them. And I love them. Because any advice or criticism will only make me a better person. Nobody is perfect; everybody needs to be told once in a while, including lil old me. By writing it in public, your motives aren’t purely to tell me off, it’s also to embarrass me. I might not be as affected as you want me to be, but in the process, you hurt my parents, my relatives, my handbags…and if Opah can read English, I can assure you 120% that she’ll cry. So, let it be our little secret. As for my other readers, of course I won’t stop blogging!! What, so some people tell me off, I run to my mommy crying and wanting to close down PD? How old do you think I am? Five? I’m more thick-skin than you think I am. I haven’t been updating this weekend because it’s been SUCH a crazy week. Got back from London, Opah has been unwell (don’t worryyyy she’s getting better), I’ve been jetlagged, I had a friend’s wedding, I helped babysit my niece and nephew, I have been spending time with Madam Chan, and on top of that, I had an exciting photoshoot for a magazine. No, I have not been shopping (see?!! getting better already!! :))…but erm, that’s probably because I haven’t had the time….BABY STEPS OK!?! Anyway, I hope to update again soon! Ttyl. p/s: Seriously, no hard feelings. I’ve had plenty worse. you go girl PD, that’s why we love u even more! PD, u always do things with style & charisma and this entry proves it. Haters can only hate the things they can’t have & the people they can’t be. btw, gosh u look so effortless gorgeous in the pic! atta girl PD! Your picture is pretty funny, hahah. Anyway, yeah there’ll always be hates. Ah well. Such is life! I’m very glad that you are being so cool about all the nasty comments. It will be a total waste to let the comments “ruin this blog”. I’ve read those comments and gosh they are so lame (and hahaha very funny)!! I really love this post (haters might hate you even more !) since you have proved that you are not taking the comments down on you and you’ve acted very “professional” about it. Clap2x for this >>>>”I have not been shopping”yay!! A standing ovation to you on this! Most people would just retaliate back. But you don’t which shows that you have much more dignity than these haters and that’s the reason why you’re my fave blogger. Hats off to you PD! p/s: hope opah is doing well. Well said PD!! i think it’s not easy to respond to haters without being mean, at least for me.. and you’ve done it so well =) Hope i could do the same too.. and that pic is so funny and u look just a lil bit garang..hehe..have a good week! and salam to Opah! It’s a fact of life in the blogosphere (especially Malaysian blogosphere for some reason). 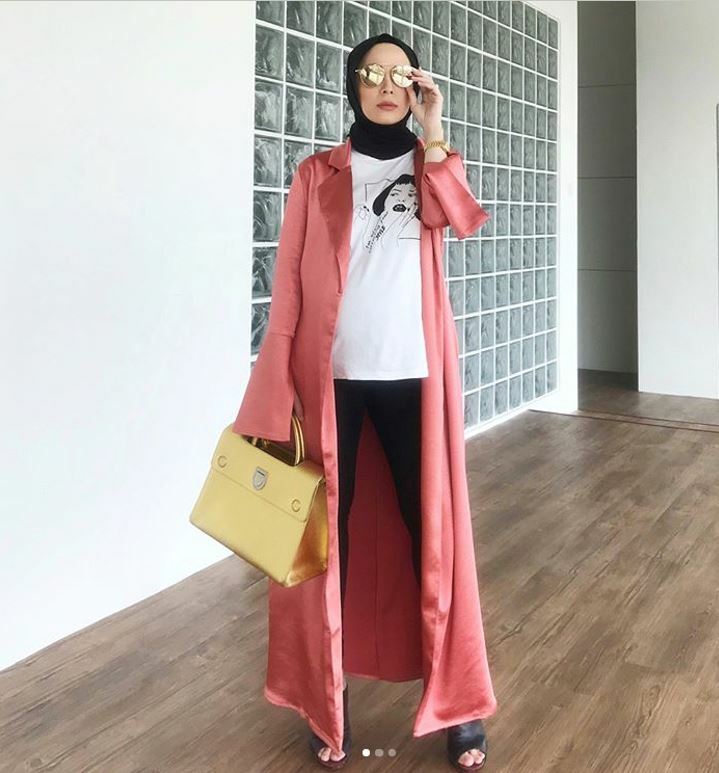 Once you start blogging, especially when your blog starts getting plenty of attention, there are bound to be some dengki types who would try to push you off the pedestal. These people take the fun off blogging, reading everything wrongly. My advice to you is: Just ignore them. They’re not worth a single breath – a mere waste of space. Just continue doing what you love, the best way you know how to, and you will find that as you give them zero attention, they will drop off like dead flies, one by one. HAHAHA.I can’t stop laughing..I love the picture! to those anon who think nasty comments will stop PD from blogging or will affect her life, jgnla dengki2, tak baik, kita sume ada rezeki masing2..
i pun xde designer handbags, bukan “org kaya raya” but i suka baca blog ni.. for fun.. its not that kalau VV ada chanel i pun nak kena ada gak..
those people jealous of you, i’m just guessing. just keep doin’ your own thing. keep on writing & ignore all those haters. yang penting, u know u’re sincere & i think u’re sincere blogging about all those stuff tanpa ada rasa utk berlagak, rite? Hi! I think u are beautiful and i am impressed by ur take on the recent nasty comments. U have a good head on ur shoulders. Soldier on! What photoshoot? Vivy update!! Hehe. Well, for the bad comments, all I can say is like your blog title “let’s move on”. And send my hugs to Opah! good reply PD..You know who you are..and your family and friends know yourself better..keep up your good work and ignore those unhealthy comments..Yup, some of them will make you a better person..I agree with your point no need to make it public..Some people will get hurt…Don’t worry..I will always support you..hehe.. Regards to opah and the photoshoot..dont forget to update k..take care.. I hate rich people who thinks that they are better then anyone just cos they have more money, better looking and ‘perceived’ themselves to be a higher class then us lowly people. I have not met you, or even talk to you but just by reading your blog, you haven proven me wrong over and over again. And because of you, I believe that they are people out there who are just like you. You have inspire so many people, including me, just by being who you are. Thank you for that. And also to your parents who must be so proud of you. My daughter introduced me to your blog recently and I must say I love your humour. 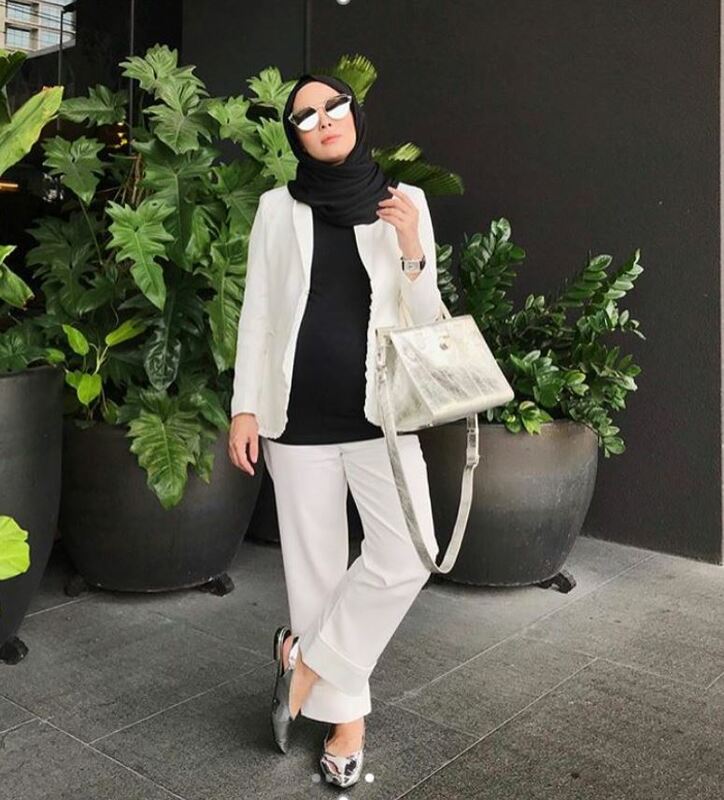 I’m forty something going on fifty something young and I’m still crazy about fashion and handbags.It helps me bond with my daughter because we can go shopping together and have common interest. I believe it also keeps me feeling young and trim. Keep blogging because a lot of us look forward to reading your blog everday. so what if you have tons of handbags! so what if your dad has money! god bless upon you coz you deserved it. 🙂 and these malicious rotten heart people who scrutinize n criticize you actually have the cheek to wonder why god doesnt bestow upon them nice things in life?? pfttt..
i came across your blog recently and been an avid follower since then. love your stories about opah! you have a heart of gold. Those reads you through blogs likes you. I bet those read you through your mind LOVES you. I`ve been reading a lot of blogs. believe me.it`s just hard to not get envy etc. but how we manage it?leave the blog and never read it. but to my suprised,never an inch do i feel envy or anything with u.
vivy, you’re awesome! opah is wonderful too. i honestly think your family brought you up very, very right. bravo! No… prefer zen everytime… cause you know who you really are! Sides, there’s many too who think otherwise! Trust me, if they could be in your shoes, they would. People get so upset and talk so bad about “privileged” kids, but the truth is, if they were offered that privilege they would not turn it down. Jealousy is ugly. And so is Envy. wowers. i bet this blog post has the most hits out of all your other blog posts. =P Congrats! you turned something negative into something super positive. Yay! Vivy rocks and PD makes my day! BS with those haters, simply they’re jealous! vivy darling, ignoring doesnt mean u loose.ur just being wiser! Oh sangat classic lah your reply. If it was me, hergh. Amarahhhh. But then, biaselah mereka-mereka golongan puaka ni. Pegi lah jadi tiang lampu ke apa, berguna jugak kan. Ni tidak. Menyemak je tau kerjanya. Hmmph. really? i haven’t been reading the shoutout box closely now..
its what people are attracted to read too anyway..
…And that is the spirit we all want!!! Yeah!!! May Allah bless you and everyone..
my lil sis introduce me to your blog recently and i’ve been hooked up ever since! it’s a must for me to read all your updates and your writing is what i like most! you’re an inspiration to other blog writers out there, just like me! two thumbs up for the way you handle the negativity as we do need it once in a while to upgrade ourselves rite? hehe. anyway, little that i know that our paths had crossed before, but that would be in another post/comment. what i can take from reading your blog is that you’re totally different from what i was told about you (we haven’t met personally, yet) and i’m loving the one that i’m reading daily now. sometimes, jealousy does gets to some people. the best way to handle life is just by being the way you are. i’m learning that everyday. Your conscience is clear. Just be yourself and ignore dem haters. hey gal! dont be deterred by such things. i know you won’t 🙂 there are so much negativity in this world, PD exudes no such thing. keep it going..
it’s one of the mean to keep sane in this stressful-mundane job of mine, by drooling over your bags..hehe. i think u are a sweet and nice person. love your effort done for Mdm Chan. and love yr fashion style! classy. keep blogging. let the haters say what they want, they are simply envious. this is my 1st comment ever even though i have been reading ur blog since god knows when… I love your writing and i’m glad that negative things dont get u down so keep going yea! jealous ppl(or perhaps just 1 little pest)..huh they just cant see other ppl getting the attn n spotlite..go PD go ..we love u ur opah ur blog ur handbags n everyth bout PD !! Hi..i love reading yr blog..it is inspiring n very honest..u r very very talented writer too..